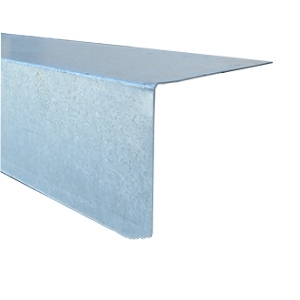 PRODUCT: 4" Face X 5" Top x 10' Long L-METAL, 26 Gauge Galvanized. PRICE/10' PIECE. Note: small orders are CUT to two 5 foot lengths for less expensive shipping.